Mahmoud Aboukifa (PhD student): Mahmoud is a PhD student of structural engineering at the University of Nevada, Reno (UNR). He received his BS from Ain Shams University, Cairo, Egypt. After his graduation, he joined the Department of Structural Engineering in Ain Shams University as a Teaching and Research assistant, and he was granted a fellowship to pursue a M.Sc. degree at Ain Shams University prior to his undergraduate grades and qualifications. His Research career is directed to the ABC applications. Starting from his Master’s degree, he was working on the behavior of pocket connections between bridge columns and footings and then continued his interest towards ABC in his PhD by working on one of the ABC-UTC research projects on the behavior of ultra-high performance concrete (UHPC) columns reinforced with high strength steel (HSS). He received the Graduate Dean Fellowship Award for 2017 academic year during his first year at UNR. Mohamed Abokifa (PhD student): Mohamed is a Ph.D. student of structural engineering at University of Nevada, Reno (UNR). He received his BS in civil engineering from Ain Shams University (ASU), Cairo, Egypt. After his graduation, he started working as a teaching and research assistant in the Department of Structural Engineering in (ASU), and he was granted a fellowship to pursue M.Sc. degree at (ASU) prior to his undergraduate grades and ranking among his colleagues. The research focus of his master’s degree was on determining the effect of the lateral bracing eccentricity on the out-of-plane buckling of steel columns by using non-linear finite element analysis. In the Ph.D. program, his research was directed to one of the ABC-UTC research projects. He is working on providing alternative applications for the full depth precast bridge deck field connections. The objective of his research is to provide a potential alternative to the use of the UHPC as a closure material in the precast field connections. 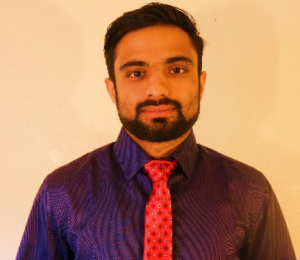 Mohammad Abbasi (PhD student): Mohammad is a PhD student of earthquake and structural engineering at the University of Nevada, Reno (UNR). His career in earthquake and structural engineering began in 2011 with the beginning of his master’s coursework and research in seismic risk analysis of structures at Iran University of Science and Technology’s Department of Civil and Environmental Engineering. In his PhD curriculum, his research has particularly focused on seismic assessment of long highway bridges with different configurations. One of his first major research projects involved the development of probabilistic fragility curves for conducting quantitative and qualitative assessment of the seismic risk to Californian highway bridges. He developed time-dependent fragility functions for deteriorating reinforced concrete bridges with different levels of reinforcement corrosion in California. He also proposed and implemented some efficient retrofit measures to mitigate the seismic vulnerability of existing highway bridges. The results of his work have aided seismic retrofit prioritization, financial loss estimation, pre-earthquake planning and post-earthquake safety issues. Thus far, he has published nine peer-reviewed articles in the leading journals and conference proceedings in his field, including Journal of Earthquake Spectra (Earthquake Engineering Research Institute (EERI)), Journal of Structure and Infrastructure Engineering (Taylor & Francis), Journal of Performance of Constructed Facilities (ASCE), and the Journal of the Transportation Research Board. He was awarded as outstanding international graduate student for 2016-2017, and also as outstanding graduate student for 2017-2018 academic years. José Benjumea (PhD student): José Benjumea is a Ph.D. student in structural and earthquake engineering at the University of Nevada, Reno (UNR). He obtained his B.Sc. and M.Sc degrees in civil engineering from Universidad Industrial de Santander, Colombia. For his master’s studies, he analyzed the seismic behavior of bridges during construction and in service. He was awarded a Fulbright-Colciencias scholarship to pursue his doctoral studies. In the PhD program, he is working on analytical and experimental studies of a two span ABC bridge with PC/PS girders funded by Caltrans. The objective of his research is to validate that ABC bridges can be built with serviceability and seismic resiliency compared to conventional cast-in-place bridges and reduce construction time. His research interests include seismic response of short and medium span bridges, accelerated bridge construction and response of bridges to accidental loads. Caltrans is providing funds that are partially counted as UNR’s ABC-UTC match. Christian Camarena (BS student): Christian Camarena is an undergraduate civil engineering major currently completing his B.S. at the University of Nevada Reno. He is also a participant in the B.S./M.S. program at UNR and plans on continuing his studies in structural engineering upon completing his undergraduate degree. Currently, Christian is gaining experience as an undergraduate researcher assisting in testing ABC-UTC bridges and is interested in seismic isolation, bridge construction, and earthquake simulation. Oscar Chavira (B.S. student) : Oscar Chavira is an undergraduate civil engineering student at the University of Nevada, Reno completing his Bachelors of Science. He also is participating in the Accelerated B.S./M.S. program for Civil Engineering and plans to continue his studies in geotechnical engineering upon completing his undergraduate degree. Oscar is gaining experience as an undergraduate researcher by assisting researchers in ABC-UTC column testing and is interested in foundations and seismic simulation. Azin Ghaffary (PhD student): Azin is a PhD student of earthquake and structural engineering at the University of Nevada, Reno (UNR). She obtained her B.Sc. in civil engineering and M.Sc. in earthquake engineering from K.N.Toosi University of technology, Tehran, Iran. Her Master’s research focused on the application of virtual hybrid simulation technique to passive and semi-active control of building structures. 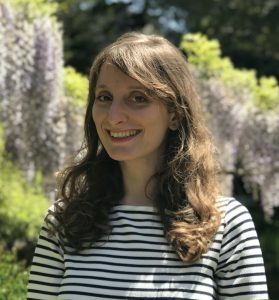 Her PhD focuses on the application of hybrid simulation to nonlinear analysis and design of high-rise buildings subjected to wind loads. Additionally, she is working on providing a comprehensive summary of methods and guidelines for the repair and strengthening of bridge girder ends. She also serves as the CEE Ambassador for Nevada bound tours. Jared Jones (PhD Student) : Jared Jones is a Ph.D. student in structural and earthquake engineering at University of Nevada, Reno. He received his B.S. from Oregon Institute of Technology and M.S. from University of Nevada, Reno. His Nevada DOT funded master’s project consisted of developing specifications and guidelines for precast concrete deck panels as a method for accelerated bridge construction (ABC). Currently, Jared is working on a Caltrans funded project to determine the system level seismic response of a 2-span bridge constructed using ABC methods. The project is specifically focused on five connections to determine their response to seismic action as well as interaction among the connections on the system level. The goal of the study is to help facilitate the adoption of ABC practices in the field as well as developing seismic design guidelines for bridges built using ABC. Negar Naeimi (PhD student): Negar is a PhD student of structural engineering at University of Nevada, Reno (UNR). She obtained her B.Sc. and M.Sc. in structural engineering from Isfahan University of Technology (IUT), Iran. In her master degree program, she extended an existing monotonic constitutive model of masonry to a cyclic one. 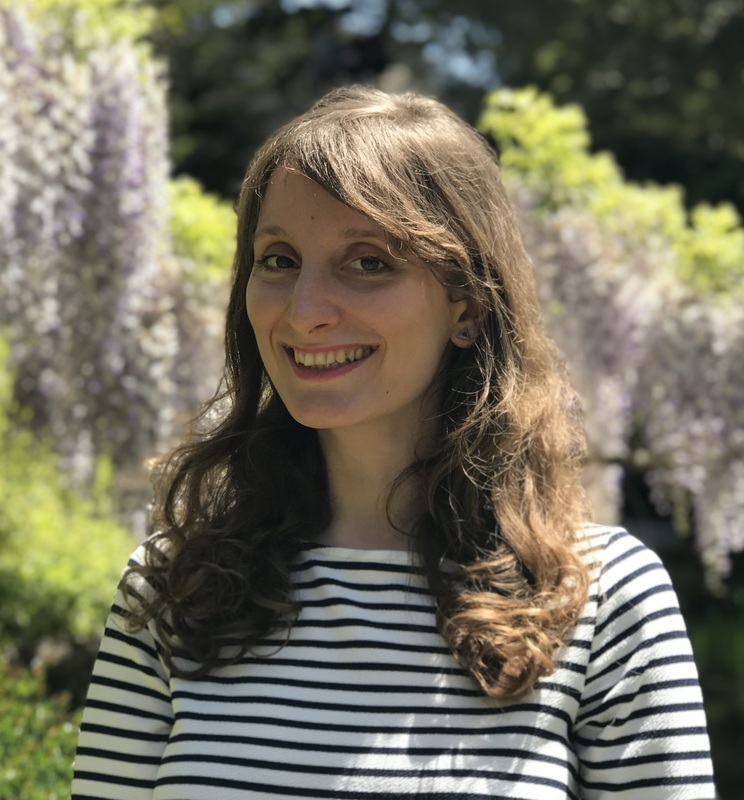 In the PhD program, her focus is on the experimental tests and numerical modeling of Ultra-High Performance Concrete (UHPC) to develop a uniaxial constitutive model for UHPC. This model is intended to be used in the design and analysis of UHPC components. Negar is an active member and one of the officers of Earthquake Engineering Research Institute (EERI) student chapter at UNR. Elmira Shoushtari (PhD student): Elmira Shoushtari is a PhD student of structural engineering at the University of Nevada, Reno (UNR). She received her BS from Sharif University of Technology, Iran, MS from Amirkabir University of Technology, Iran. The research focus of her Master’s degree was seismic evaluation of steel dual systems with RC shear walls under near-fault and far-field earthquakes according to FEMA-P695 instructions. In the PhD program, she is working on the seismic evaluation of a two-span steel bridge system incorporating ABC connections based on shake table testing. The objective of her research project is to validate that ABC bridges can demonstrate adequate load path, integrity, and constructability. Her research interests include accelerated bridge construction, large scale testing, and seismic behavior of bridges. She is the president of Earthquake Engineering Research Institute (EERI) student chapter at UNR. She also serves as the CEE Ambassador for Nevada bound tours. Grishma Shrestha (PhD student): Grishma is a PhD student of structural engineering at University of Nevada, Reno (UNR). She obtained her M.Sc. degree in structural engineering from Southern Illinois University Edwardsville (SIUE) and worked on Nonlinear Finite Element Analysis of Reinforced Concrete Diaphragm. In the PhD program, she is working on precast design of seismic bridge decks funded by Caltrans. The objective of her research is to develop and optimize a Load & Resistance Factor Design (LRFD) ABC PC deck that can demonstrate seismic resiliency and serviceability. Caltrans is providing funds that are partially counted as UNR’s ABC-UTC match. Her academic interests include finite element analysis, seismic responses of bridges, accelerated bridge construction, and, ultimately, design of these elements. Deependra Subedi (MS student): Deependra is an MS student at UNR with focus in Earthquake and Structural Engineering. He received his Bachelor’s Degree from Institute of Engineering, Central Campus, Tribhuvan University, Nepal. After his graduation, he worked for 18 months as a civil engineer on Building Code Implementation Project in Municipalities of Nepal with NSET(National Society for Earthquake Technology-Nepal). He joined UNR in the Fall of 2017 as a graduate research assistant and since then has been working on development of non-proprietary UHPC materials as an alternative to UHPC to be used in ABC bridge column connections. He has been actively involved in development and characterization of the potential mixes. Currently, he is testing pullout specimens to establish the anchorage behavior of the developed mixes. The project will then proceed to the cycling testing of two approximately half scale columns to evaluate the structural and seismic behavior of the mixes in ABC bridge column connections. This project aims to establish a less expensive, less restrictive alternative and to avoid sole source specifications for ABC column connections in California. He is graduating in May, 2019 and will be seeking a career in industries related to bridge technologies. Bahareh Abdollahi (PhD, 2017 ): received her doctoral degree in in structural engineering at University of Nevada, Reno (UNR). She completed her B.Sc. and M.Sc. degrees in civil engineering and earthquake engineering at University of Tehran, Iran. She performed experimental and analytical studies on confinement of circular columns using Fiber Reinforced Polymers (FRPs) and Slurry Infiltrated Fiber Reinforced Concrete (SIFCON) in her master’s degree program. She worked in 2017 on seismic interaction of soil-abutment system in skewed bridges funded by Caltrans. The objective of her research was to develop a model to simulate the seismic interaction between the soil and the skewed bridge abutment based on large-scale shake table studies and analytical and numerical studies. Her research interest topics include seismic retrofit, bridge engineering and soil-structure interaction. Dr. Abdollahi completed her PhD in August 2017 and is currently working as a bridge engineer at a firm in Denver, Colorado. Osvaldo Arias (BS student): Osvaldo is a civil engineering undergraduate student at the University of Nevada, Reno (UNR). His studies placed an emphasis in structural engineering and he plans on receiving his Master’s Degree in structural engineering at UNR. He assists in preparing, assembling, and loading specimens onto the earthquake simulation tables where he has built great interest in accelerated bridge construction, seismic bridge response, and concrete design. 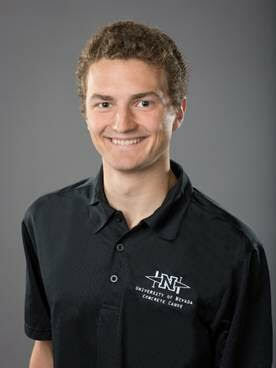 He is also the Mix Design Manager of the UNR ASCE-AGC Student Chapter Concrete Canoe Team. He is currently contributing to several ABC seismic research project funded by various agencies. Caltrans, the Nevada DOT, and Washington State DOT are providing funds that are partially counted as UNR’s ABC-UTC match. Evan Jordan (MSc Student): Evan is former a M.S. student at UNR with a focus on structural Engineering. He received his B.S. in civil engineering from UNR in spring of 2017. His research topic is focusing on the dynamic and seismic behavior of mechanical couplers for ABC connections. He is devising a new apparatus and novel testing protocol for dynamic loading (with cyclic load reversals) for mechanical couplers for use in the plastic hinge region of a bridge column. Evan graduated in May 2018 and is now employed at Magnusson Klemencic Associates, a structural engineering design firm in Seattle, Washington, as a structural engineer. Quinn Lovelady (BSc 2018): Quinn Lovelady graduated from the civil engineering program at the University of Nevada Reno in the Fall of 2018. He is currently employed as Farr West Engineering where he is an Engineer in Training. He plans on working at Farr West for the foreseeable future to gain the experience needed to become a Professional Engineer. Mehrdad Mehraein (PhD, 2016): Mehrdad received his Ph.D. in earthquake and structural engineering at UNR in May 2016. He obtained his M.Sc. in earthquake engineering from Sharif University of Technologyand his B.Sc. from Amirkabir University of Technology in Iran. For his Ph.D. he worked on column to pile-shaft ABC connections of bridges, funded by Caltrans. Upon graduation,Dr. Mehraein worked as a post-doc at UNR for a short time. He is currently a staff bridge engineer at COWI in Seattle, WA. His research interests include performance-based design of structures, precast construction, ABC, and experimental studies of structures. Caltrans provided funds that are partially counted as UNR’s ABC-UTC match. Dr. Mehraein is currently working at Cowi, North America Inc., in Seattle, Washington as a bridge engineer. Ali Mehrsoroush (PhD, 2015): Ali was a post-doctoral scholar at the University of Nevada, Reno. He received his BS from the Isfahan University of Technology, Iran, MS from the Sharif University of Technology, Iran, and PhD from the University of Nevada, Reno. His research interests include large-scale testing of structural systems and components, application of advanced materials and details in earthquake engineering, bridge engineering, seismic behavior of concrete structures, computational modeling of structures, and seismic behavior of composite structures. In his PhD curriculum, he developed two types of novel resilient ABC connections to be utilized in both cast-in-place and accelerated bridge construction. As a post-doc he worked on two different projects funded by Caltrans and the Nevada DOT. The scope of the Caltrans project was to expand the probabilistic damage control analysis approach (PDCA) developed for standard bridge columns to substandard columns. The Nevada DOT project was aimed at identifying the most appropriate earthquake-resistant precast bridge pier system for implementation of ABC in Nevada. Caltrans and the Nevada DOT provided funds that were partially counted as UNR’s ABC-UTC match. Since August 2017, Dr. Mehrsoroush has become a bridge engineer at the Nevada Department of Transportation. Alireza Mohebbi (PhD, 2017): Dr. Mohebbi joined CH2M HILL Inc. in 2017 as a bridge engineer. He obtained his M.Sc. and Ph.D. degrees in civil and environmental engineering from the University of Nevada, Reno (UNR). In the M.Sc. program, he explored a new seismic protection concept for integral bridges and the outcome of his research was to develop a strategy to protect vulnerable pier columns in multi-span bridges with integral abutments during earthquakes. 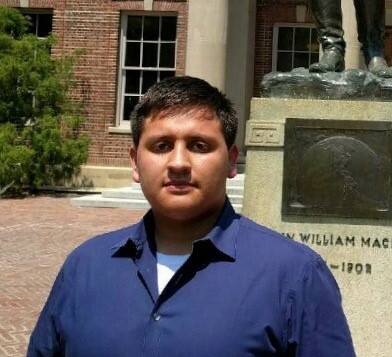 In the PhD program, his research focused on accelerated bridge construction and developing resilient bridge piers with pocket connections and advanced materials subjected to simulated earthquake loading on shake tables. His research provided preliminary design guidelines for the seismic design of prefabricated reinforce concrete members using advanced materials such as carbon fiber reinforce polymer (CFRP) tendons, ultra-high performance concrete (UHPC), and engineered cementitious composite (ECC). He has also earned 12 academic recognitions and scholarships during graduate studies, and was recognized as an outstanding international graduate student at UNR in 2016. He was an active member of Earthquake Engineering Research Institute (EERI) and served as the President of EERI student chapter club at UNR in 2016. His research interests include seismic response of bridges, accelerated bridge construction, and durability of self-consolidating concrete (SCC). Dr. Mohebbi is currently a research scientist at the Federal Highway Administration in McClain, Virginia. Wheeler Musnicki (BS, 2016 ): Wheeler graduated with his Bachelor’s Degree in Civil Engineering at the University of Nevada Reno (UNR). In the undergraduate program, he has placed an emphasis on the structural engineering courses. He is also a member of the ASCE concrete canoe team. He is currently contributing to an ABC seismic research project on bridge column hinges funded by Caltrans. Caltrans is providing funds that are partially counted as UNR’s ABC-UTC match. Alicia Robb (BS student): Alicia is an undergraduate research assistant in civil engineering at UNR. She is working on one of the UNR ABC-UTC research projects on seismic response of ABC connections and advanced materials in two-column piers. Alicia is an active member of the American Society of Civil Engineers at UNR, participating in both the water treatment and concrete canoe teams in her spare time. Colton Schaefer (BS, 2015): Colton graduated with a BS in Civil Engineering from the University of Nevada, Reno (UNR) in December 2015. During his studies at UNR, he placed an emphasis on structural engineering courses and participated in the newly developed Accelerated BS/MS Program. Colton worked on the ABC-UTC project entitled “Evaluation of Seismic Performance of Bridge Columns with Couplers and Development of Design Guidelines.” His academic interests include seismic responses of bridges, accelerated bridge construction, and, ultimately, design of these elements. He was also an active member of the US Navy Reserves serving on two deployments over the recent years. Mostafa Tazarv (PhD, 2015): Mostafa received his B.S. from the University of Tabriz, Iran, M.S. from Sharif University of Technology, Iran, followed by year of graduate study at Carleton University, Canada, and Ph.D. from the University of Nevada, Reno. His research interests include seismic behavior of concrete structures, innovative materials, resilient infrastructures, accelerated bridge construction, large-scale testing, and nonlinear structural analysis. In his PhD curriculum, he developed a new generation of bridge columns that can be built relatively in short time but with seismic performance that is equal to or better than conventionally cast-in-place bridge columns. During his time at UNR, he worked on three different projects funded by the National Cooperative Highway Research Program (NCHRP) and the ABC-UTC. The scope of the NCHRP project was to explore new bridge column performance with innovative energy dissipating systems and propose design guidelines for innovative columns. The objective of ABC-UTC projects was to develop design guidelines for pocket connections and mechanical bar splices, which are types of accelerated bridge construction connections. Dr. Tazarv is currently an assistant professor of civil engineering at the S. Dakota State University.